If you have read my bio, you know that I claim no formal firearms training as part of my background. As my involvement in the shooting sports has increased, my desire to change that circumstance has increased as well. Towards the end of August, I was perusing my daily Groupon email when I noticed a deal for a two hour handgun 101 class. One hour of classroom followed by one hour of range time with range fee, gun rental and ammo included for two people for the obscenely low price of $39. Cha-Ching! Where do we sign up? Yes, I said we. In my excitement at getting such a deal and my desire to share my hobby with my long suffering wife, The Queen, I signed us both up for this educational experience. Then, I told her I had a surprise for her. The Queen is no stranger to firearms, but she is not obsessed with them like I am. Once upon a time, I took her on a date during which go karts were raced and a select fire 9mm H&K MP5 was rented and fired. The Queen claimed she had a great time at said date. So, this surprise date was going to be well received too. Right? Yeah, not so much. More on that later. Maybe. Word of advise to husbands reading this: don't bill a date involving your hobby as a surprise to your wife who is stressed from caring for three children under the age of five and dealing your sorry hide day in and day out. Word of advise to wives reading this: when you present your husband with the receipts from your massage/spa day/shopping spree/shooting spree, gently remind him that you didn't kill him for getting your hopes up for something romantic. Any fail, back to our story. Notice I am not naming names here. There are two reasons for this: 1) there is no need to publicly shame this business across the Internet for those located somewhere other than the Dallas/Fort Worth area (those in DFW can email me for names if you so desire), and 2) I don't want to discourage other businesses from offering similar opportunities via Groupon. The Groupon portion of the experience was awesome. Paid online. Scheduled online. Printed voucher. Done. No fuss. The classroom portion of the event was not bad. It was not great either. The classroom was long and narrow with the tables setup facing the centerline of the room instead of the front of the room. This made watching the video portions of the instruction difficult. There were about 22 to 25 people in the class with 1 instructor. Remember these numbers, they will come back to haunt us soon. Now, here is a little pet peeve. A training class advertised to start at 7:00 should...you know...start at 7:00. Not 6:50. When we walked into the classroom at 6:55, the instructor had already started a power point presentation and was showing a video clip of Clint Smith talking about something or other, I honestly can't remember at this point. Before moving on, let me describe our instructor for the evening. Short, overweight and wearing a Springfield XD 9mm in a Miami classic shoulder holster rig. I found it amusing that he continually muzzled the whole class with his loaded XD every time he turned around while demonstrating "proper" muzzle discipline with a revolver and a semi auto. Back to the classroom material. I don't have a problem with an instructor inserting video clips to enhance a presentation. I've done that myself professionally. However, over reliance on video clips from others more qualified than you just highlights your own lack of qualification. Also, I don't really feel the need to pay good money to watch clips of Clint Smith or Todd Jarrett that I can see (and have seen in some cases) on YouTube for free. The instructor did do a good job of demonstrating a solid two handed grip as well as the rationale for same. He demonstrated the Isosceles stance. I would have liked to have seen other stances covered as well, but that would have meant cutting out one of the Clint Smith video clips. Positive take aways from the classroom portion: 1) Mag Out / Round Out for proper clearing of semi autos so that you do not inadvertently reload the chamber from the magazine, 2) you use the pad of your index finger to engage the trigger as using the first joint causes the meat of the finger to interfere with proper operation of the trigger, and 3) Todd Jarrett / Clint Smith are worth whatever money they are getting paid since our instructor felt the need to use their material instead of his own. Now, on to the range portion. The range where the class was held is a relatively new facility with 7 pistol bays. Remember the number of students in class? Do you see where this train is about to crash? To add insult to stupidity, the range was not closed to outside shooters for the class. Those 7 bays were thus reduced to a mere 5 bays available for the shooting portion of the class. So, 1 instructor is going to run 25 students, some of whom have never touched s firearm, through a minimum of 20 rounds of ammo on 5 pistol bays in under an hour. Oh, and give quality one on one coaching in the process. To add a additional level of stupid, one of the lanes rented to a non-class member was a guy trying to impress not one but two girls by shooting his .40 gangsta style. I really wanted a few quiet moments with that bonehead, but such was not to be. For what it's worth, one of the girls was a better shot than he was. Heck, The Queen is a better shot than he was. But I digress. The rental guns were supposed to be Smith &amp; Wesson M&amp;P .22s. I was really kinda interested in shooting them to see what all the hubbub with the triggers is about. Alas, when I got my chance to shoot, the lane I landed on had a Sig Mosquito for use. Apparently, one of the M&amp;Ps was taken down by a squib round that left a bullet lodged in the barrel that need to be hammered out, and the Mosquito was pulled in as a substitute. A word or two about the Sig: I don't like the long DA/SA trigger. I've never liked the DA/SA trigger system. Didn't like it on the Beretta. Didn't like it on the S&amW 4506 that my brother in law had. Didn't like it on the Mosquito. Personal preference. Your mileage may vary. The sights were way high. Point of impact at five yards was about three inches low. Once I figured that out, I turned the number 8 on a standard Texas DPS silhouette target into one ragged hole which is what I expect of myself at that distance. Watching some of the others in the class, there were clearly some newbies. One guy in front of me had the shakes so bad, I thought he was going to drop the gun. He really needed some one on one attention. Unfortunately, he didn't get it that I saw. Range commands, though discussed in class, were non-existent on the range. I didn't notice any glaring safety issues, but that could have just been luck given the experience level in the class. So, bottom line: when it comes to Groupon firearms events, buyer beware. In hindsight, I should have called the provider and asked some basic questions. My self assessed experience level is higher than a basic, intro class. I wanted to take the class for the sole purpose of starting with the basics to make sure I was not reinforcing ay bad habits left over from my grandfather and also to give The Queen and I a good basis for future firearms activities. A mentioned above, I did get something's out of the class. However, I was left feeling like I should have gotten more out of it. For the price, I can't complain too much more than I already have. Shepherd K that was one entertaining read. Thanks for the laughs, and the critique. Double Tap, thanks. I thought you might appreciate it. Unfortunately, I think that we can all think of instructors like that and I pray I'm never one of them. I hope that every student I have walks away feeling: #1) safe, #2) confident, #3) feeling like they learned something positive. 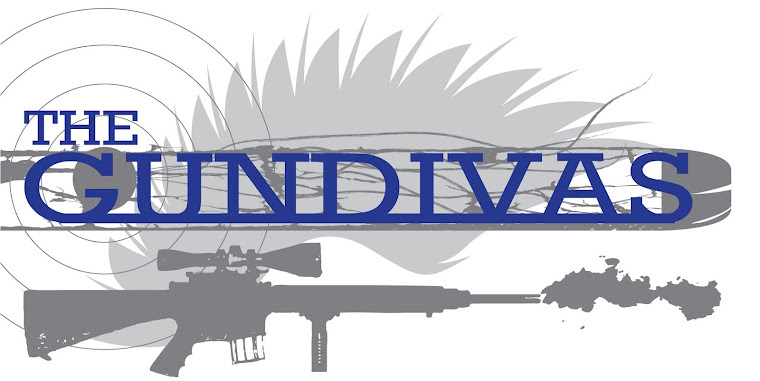 GunDiva, de nada. It makes me want to get certified as an instructor so that I can save students from Miami Vice wannabes. I concur...funny and upsetting at the same time. A Girl, thanks for the kudos.